All of us at Bean Ninjas love to hear about our clients’ successes. 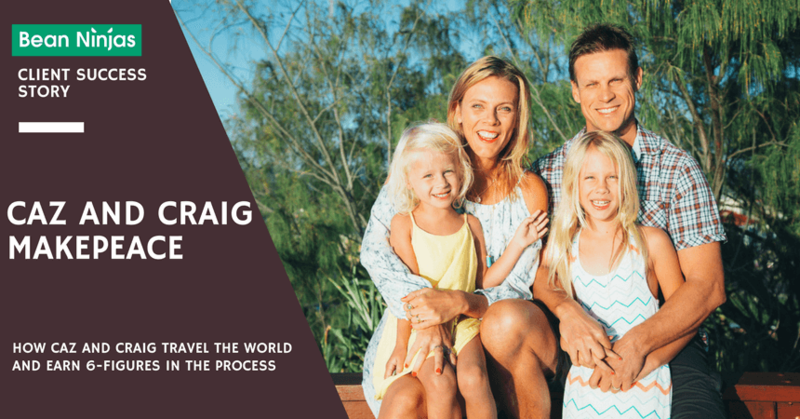 We’re going to share with you the story of Caz and Craig Makepeace, and how they went from a small blog to a 6-figure business. Caz has been traveling since her graduation in 1997. She took teaching posts in various countries, along with odd jobs to sustain her while she was abroad. Craig, her husband, worked in construction. At that point, they decided to create and build a portable business that would allow them to work from anywhere, but, most importantly, to solidify their nomadic lifestyle. Like many businesses, the beginning stages didn’t go so smoothly. Their investments were disastrous; their business ideas somehow always fizzled out. Travel seemed to them the only thing they were good at! And then, they discovered travel blogging. The only life they ever knew was traveling, experiencing, and sharing stories from their trips to inspire others and help them travel too. The thing was, they hadn’t a clue how to run a business. As with everything they’d done so far in their lifetimes, they learned to build a strong business on the fly. That was in March 2010. Today, they have one of the most successful travel blogs across the globe, ytravelblog and they achieved their primary goal – to live their dream life, traveling the world. After banging their heads against several business ideas, things took off just when they jumped off the online start-up treadmill and went traveling around Australia for 18 months with their daughters. They’ve been featured on Forbes.com (twice! ), The Today Show as well as Travel & Leisure. They were ambassadors for Garnier’s YouTube campaign, along with doing video campaigns for Skyscanner. They’ve partnered with some leading brands like Qantas, Ford, Canon, Tourism Australia, and Allianz. But, the highlight of their traveling career was getting invited to The White House to participate in the first travel blogger summit on Study Abroad and Global Citizenship. They’ve always aspired to be a source of reliable information to their audience and to do what Lonely Planet did for them – acting as their window to worldwide travel. Caz and Craig thank Lonely Planet for the amazing adventures they had the chance to experience. In recent times, Lonely Planet has also made an impact on their work. They’ve partnered with Lonely Planet on several occasions. Their daughter is often a contributor to their content, and they’ve even received a Modern Ontrapreneur Award for their contribution and excellence in the field of publishing. “Wild dreams can happen,” they say with a smile. As long-time world travelers, Caz and Craig Makepeace had no substantial basis for creating a real-life business model. So, they developed a digital one. Through the trial and error method, they’ve gone from “no experience” to leading a successful online business model. As their blog grew over time, they gathered a loyal audience who were eager to find out more about what Caz and Craig were up to. In time, they decided to monetize their blog. The content they share is formulated as written articles, videos, and photography. Whilst the revenue they earn is by way of advertising, sponsored content, brand ambassadorship, tourism marketing, and affiliate partners, which they are planning to expand by providing e-products. In the last 12 months, they’ve commenced earning income from advertising which now forms around 30% of their income, which they expect that to increase over time. As traveling business owners, Caz and Craig’s positions are unique. They say that a lack of time usually is an obstacle to building a business. Their business is oriented towards traveling, and in order to properly conduct their business, they have to travel often. While it may seem like a dream job to everyone else, they state that so much traveling takes its toll on their resources and time. It often takes a lot of energy which can affect time available and the willpower to work. A great example of this is, in a six-week period, Caz has been on a Caribbean cruise, visited Austria and tried a number of adventure activities, participated in a conference in Santa Barbara, and went leaf peeping in New England. You can imagine the investment of both time and money to complete all of that in such a short time. Nevertheless, Caz and Craig get a steady influx of ideas for their business out of the constant travel. But, only a couple of hours each day are free to spend on actual business dealings, and even that is on-the-go. You can imagine that these couple of hours are dedicated to extreme planning, focus, and prioritization. Caz and Craig always have to know specifically what is required of them and when in order to make their business work in such a focused and short amount of time. They’ve created systems to help them produce content faster. They use Ontraport, for example, to manage an endless stream of e-mail, and to speed up the process of content creating. Outsourcing is another vital component of their business; video editing, Pinterest marketing, design work, and the tech management of websites are all done through the networks they have created. 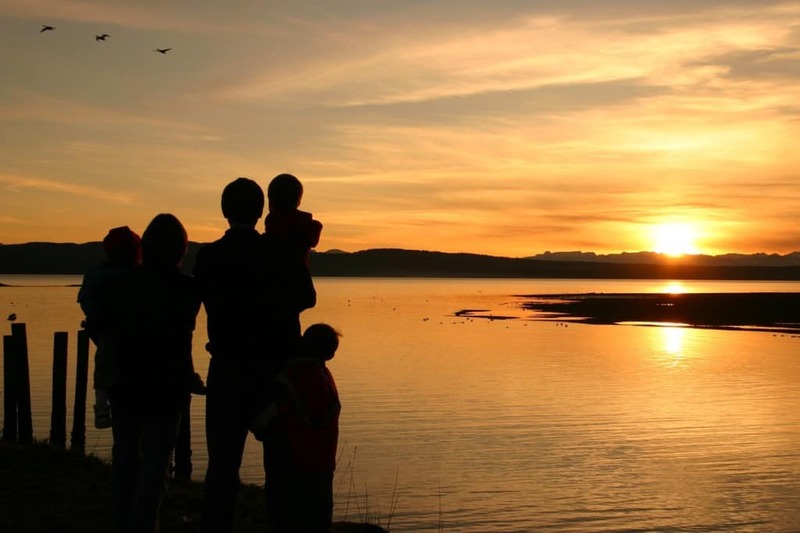 They cite months and years of preparing passive income streams to make their income more stable as they have to constantly be on the lookout for unforeseen events that could potentially ruin their traveling plans, which in turn, will affect their content and income. But, they acknowledge that the time management problem is something they’ll never be able to eliminate. They have learnt to manage it, and create a prosperous business despite those circumstances! When asked about their business strategy, Caz and Craig Makepeace talk about unique SEO-oriented content and Pinterest. The challenge was never about writing epic content as they always had amazing stories to tell, but turning that into SEO-optimizable content was another matter. For example, they took a post that hadn’t received any attention and tweaked its title and URL. Et voilà! It ranked 4th on Google’s “Highly Searched Terms” list while bringing a couple of thousands of visitors to their site per month. Getting a proper keyword tool is also a must, and KeySearch is something they use for such purposes. They have also hired a publicist who not only helps them to be featured in traditional media outlets, but also helps them to implement link-building strategies online. Listening to what your community has to say is extremely valuable as well and equally valid both online and in real life. They often arrive in a country with no prior knowledge about their destination and then wind up with a massive well of information gathered from the local people (online and offline). Caz and Craig are the first to admit that they don’t like spending time on something they don’t like or are ill-suited for. 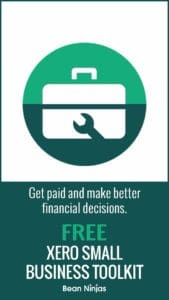 They appreciate that having clean reports of their financial lives prepared in advance is simply good business practice. And, it also shows a healthy respect for money – a good finance principle to live by. Caz thinks that if you treat money right, it will keep knocking on your door. We absolutely agree with her! And, Caz and Craig Makepeace’s success is one that we’re proud to be a part of. Their breath-taking stories of travel and adventure never cease to inspire us. Already using Xero but feeling unsure if you’re doing your bookkeeping correctly? Want assurance that your accounts are streamlined and cared for? Get started here! !